Are you interested in what changes and planning are happening in your local environment? “Tarkkailija is a service for residents that offers an opportunity to follow events in people’s neighborhoods and participate in their development more easily. For example a person that lives on the border of two municipalities can use the service to subscribe to information from both communities’ current matters involving the development of the area”, explains Director Markku Tahvanainen, Ministry of Environment. Tarkkailija service helps citizens and companies to get early alerts on new information and plans on topics of their interest. The idea with the service has been to provide easy access to all kinds of public information in your environment – whether you are looking for information about building projects around your house or where you wish to move, about road works on your way to work, about services in your area, about environmental projects happening around the lake you swim in or close to your summer cottage. 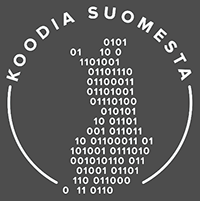 The services covers information from over 400 websites of the Finnish public sector, including municipalities, ministries and other state institutions. Tarkkailija is a map-based information service, where the user can define both topics and locations of interest to search through the vast archives. The service will automatically inform the user whenever there is new information available regarding the interest topics for the defined location. Until now, content has been difficult or even impossible to find with standard Internet search engines. They either fail in understanding the place names accurately, or can’t locate the right information of that particular area. Or even worse, the effort has been left for the user to crawl through the deep dungeons of hundreds of web sites. Utilizing Leiki SmartSearch Tarkkailija service has turned the search based traditional concept upside down and put the user in the center. Leiki combined over 2.2 million articles and documents, altogether hundreds of gigabytes of data and analyzed it with Leiki ontology of more than a million interrelated concepts. This includes thorough disambiguation where terms such as place names are matched with their correct meanings. The system also analyzes user interests in real time and presents personally relevant content. 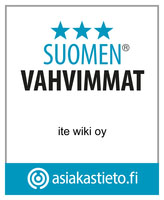 Both behavioral and contextual content recommendations are shown on the etarkkailija.fi site, but perhaps more importantly these recommendations can be easily integrated to any online service, such as a municipality site, through the Leiki Focus widget platform. As a result, the user will get a unified and seamless service conceived by the personally most relevant information from the multitude of public sector organizations. The content recommendations are served via SmartContext for contextual recommendations and SmartPersonal for behavioural recommendations.